I do love to bake cupcakes. They are fairly quick and simple to make and you can easily experiment with flavours and styles. 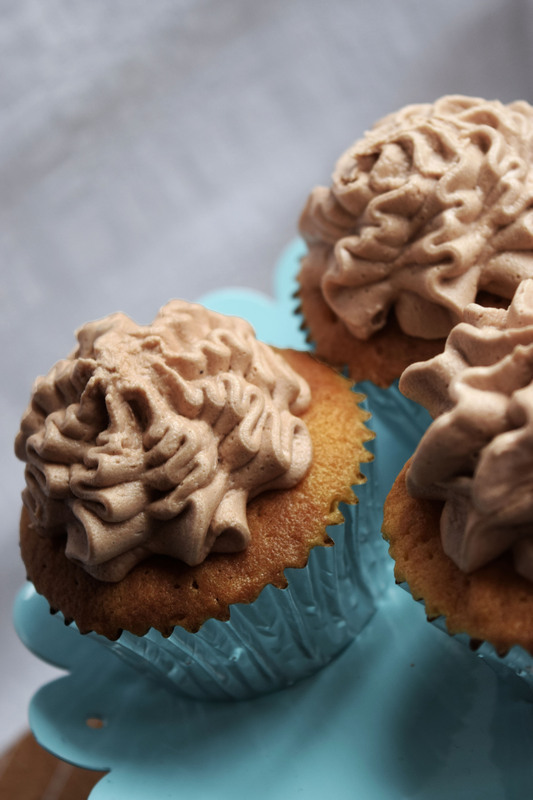 Yesterday I decided to create some chocolate marble cupcakes with milk chocolate butter cream and I thought I’d share my recipe with you lovely people. 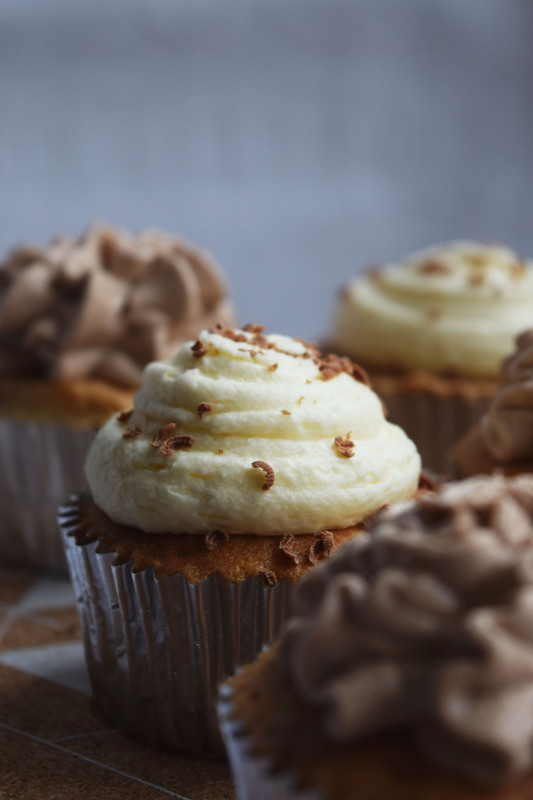 This recipe makes around 12 cupcakes. 1)Preheat the oven to 160⁰c and put cupcake cases in a muffin tray. 2)Beat the butter and caster sugar until light and fluffy. 3)Add the eggs one at a time with a spoonful of flour for each egg and mix. 4)Sift the rest of the flour and a pinch of salt and fold in. 5)Add the milk and mix until the mixture is smooth. 6)Melt the plain chocolate. This could either be done in the microwave on a low setting or in a glass bowl over a pan of simmering water on the hob. 8)Split the cake mixture evenly into two bowls. Stir in the melted plain chocolate into one mixture. Stir in the melted white chocolate into the other mixture. 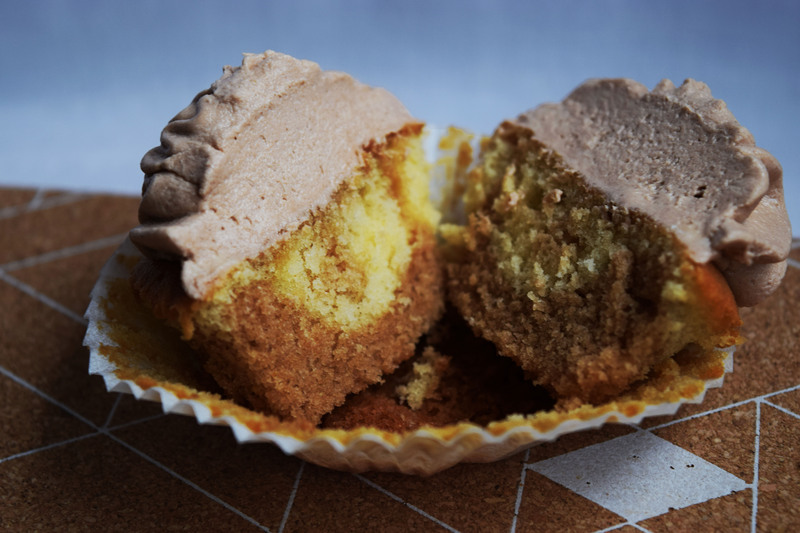 9) Spoon some of both mixtures into each cupcake case and swirl around with a knife to create the marble effect. 10) Place in the middle of the oven and bake until cooked for around 15-20minutes. (To tell if cakes are cooked, place a skewer into the middle and if it comes out clean, they are cooked). 11)Once cooked, leave to cool. 1) Beat the softened butter for around 5 minutes, or until the butter looks pale and fluffy. 2)Sift in the icing sugar gradually and beat until smooth. 3) Add the milk and mix. 6)Separate the butter cream evenly into two bowls. Stir in the melted milk chocolate into one lot of mixture. Stir in the melted white chocolate into the other mixture. I hope you enjoy making these. They are simple to make and taste great. Let me know your favourite cupcake flavours.